Hello it’s Leeann here today and I have scrapped a double pager, I have a heap of “city fun adventure photos”. First of all I started out by creating a sketch of the design I had in my head. Once I doodled this down I got stuck into creating a simple watercolor background with some random pencil and stamp work. That’s just so me. From there I cut each shape out as well as extras as I wanted too layer each circle element for texture. Once the photos were in place I added my title and used those tiny words quotes from pretty little studios. Love them alot! I then finished this double of by adding the epoxy shape embellishments. Here’s my doodled sketch design… please feel free to have a go if you too have a few photos you wish to get down. and now lets take a look at my double pager! This is us in our new city, so many great new adventures we get to go on. I love exploring this city. I get excited every time I go into the city of Melbourne. So do my girls! Thanks so much for popping in and I hope you have fun creating with this Kit. Categories: Locker Room, Uncategorized | Tags: #ckmoonchild, leeannpearce, scrapbooking, September Kit | Permalink. Hi! This is my last post here and I would like to thank you all for your support and I would like to thank Clique Kits girls for the opportunity to be a part of such a fantastic team!! 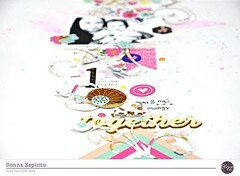 Categories: Yearbook | Tags: clique kits, Justyna Skowron, kit club, Layout, scrapbooking, September Kit | Permalink. Hello! TodayI want to show you a card I made with September Printables. I used only a label and a circle but their color perfectly matched the blue butterfly and it was enough for me 😉 It is still quite complicated card because I rather make C&S ones. Categories: Geek Lab | Tags: #ckmoonchild, card, cliquekits, Justyna Skowron, kit club, scrapbooking, September Kit | Permalink.